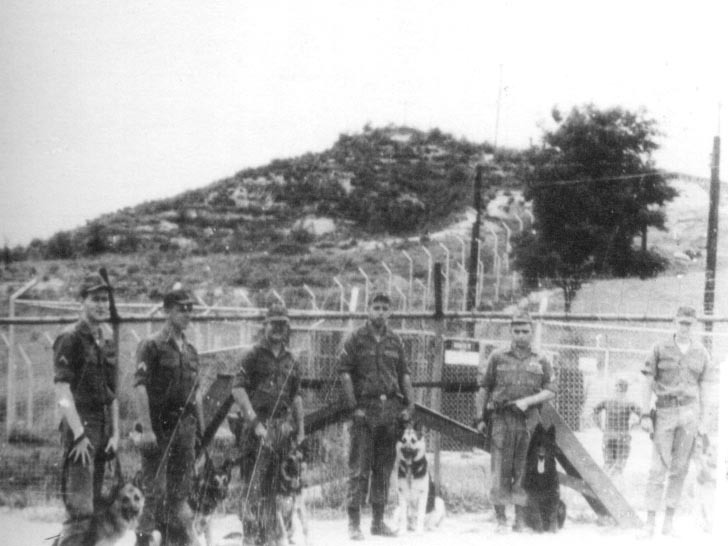 SENTRY DOGS, AS WELL AS THEIR M.P. 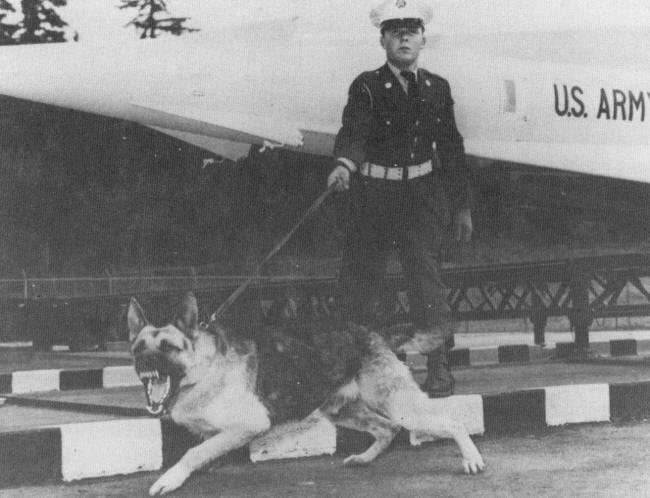 DOG HANDLERS, WERE ASSIGNED TO ALL NIKE HERCULES SITES. 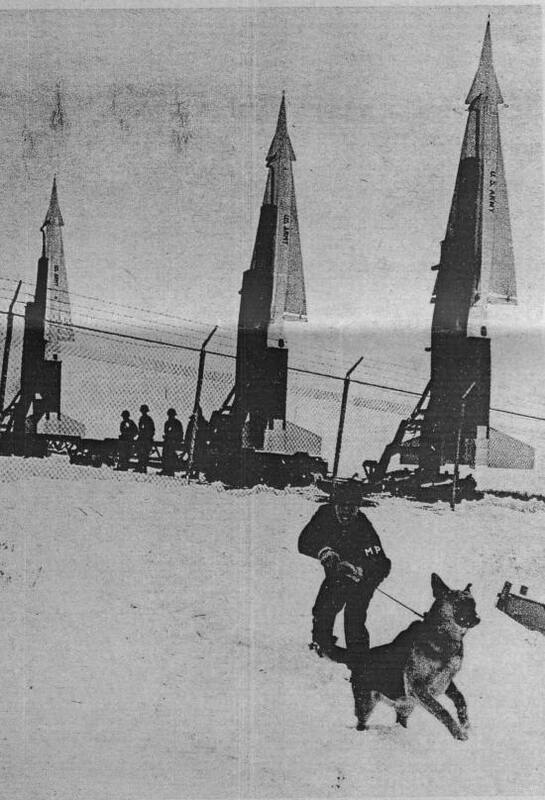 THE DOGS WERE USED TO PATROL THE AREA BETWEEN THE LAUNCHER AREA FENCE AND THE EXCLUSION AREA (LAUNCHING AREA) FENCE. 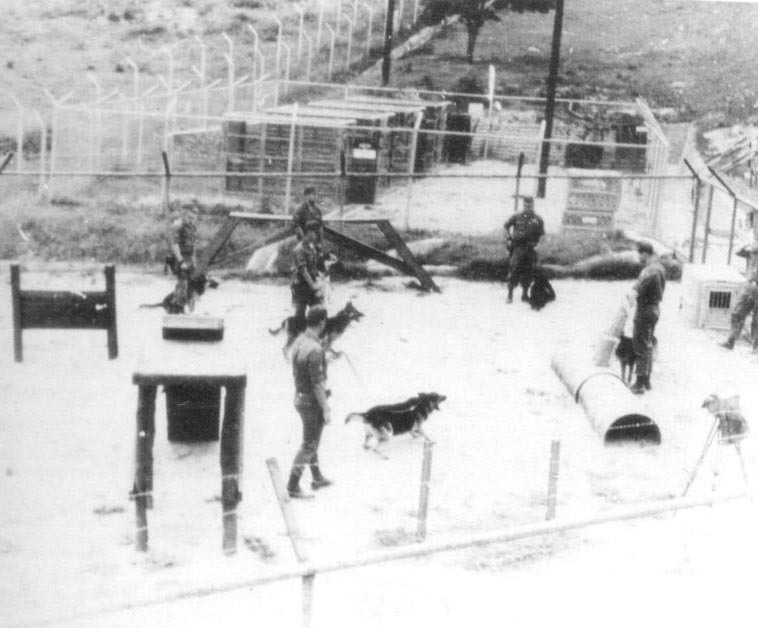 THE DOGS WERE PRIMARILY UTILIZED AT NIGHT TO AUGMENT THE SECURITY OF THE SITE. 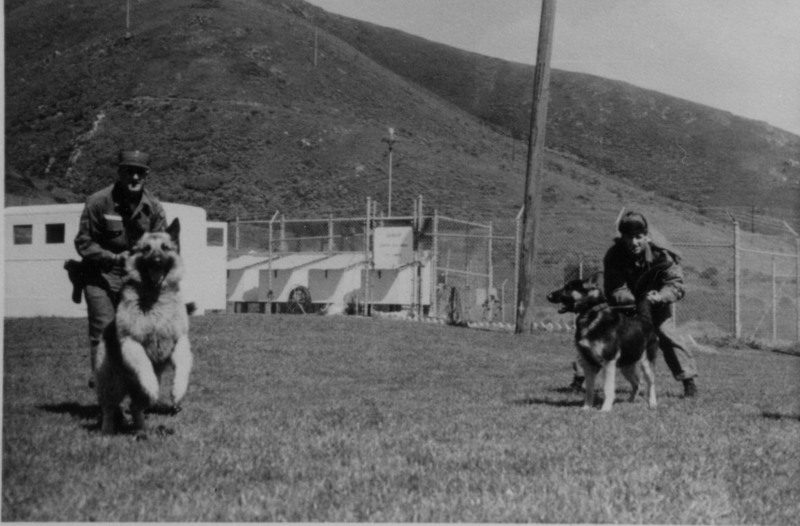 ON AVERAGE, THERE WERE FOUR DOGS PER SITE, ALTHOUGH SITES OVERSEAS TENDED TO HAVE MORE. 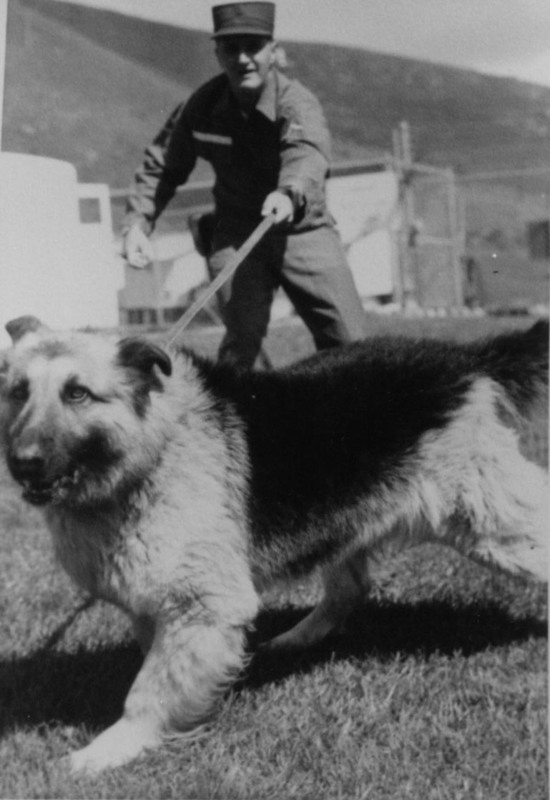 A DOG WAS ASSIGNED TO ONE HANDLER WHO HAD TO CARE FOR THE DOG IN ADDITION TO PATROLLING WITH IT. 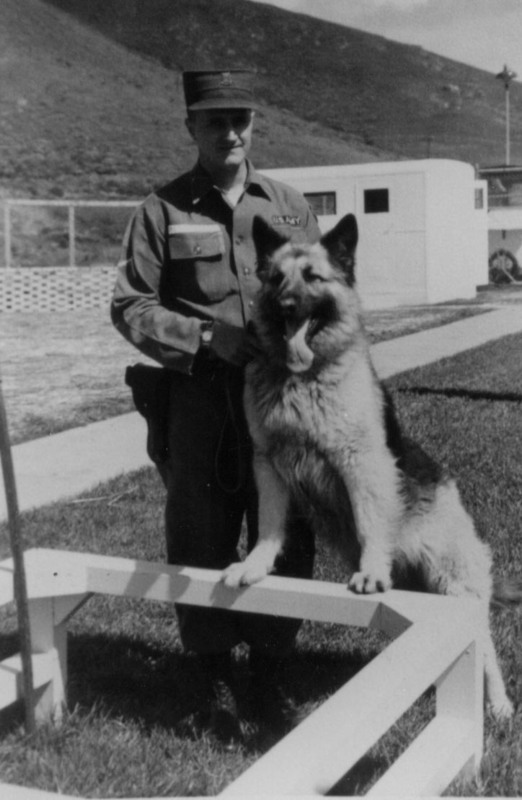 THE DOGS WERE PURPOSELY TRAINED TO BE OVERLY AGGRESSIVE AND WERE BASICALLY FRIENDLY TO THEIR HANDLER AND NO ONE ELSE. 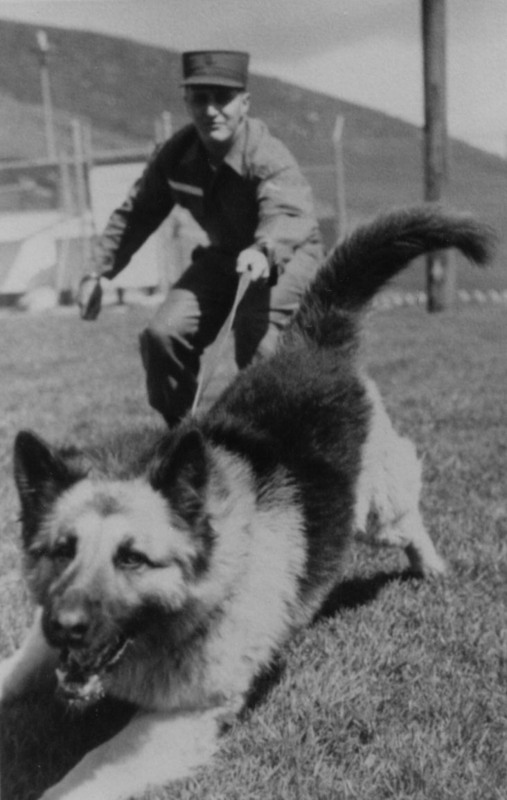 FOR EXAMPLE, DOGS TRAINED FOR POLICE WORK TODAY LIVE WITH THEIR OFFICER/HANDLER AND ARE BASICALLY FRIENDLY UNTIL COMMANDED TO DO OTHERWISE. 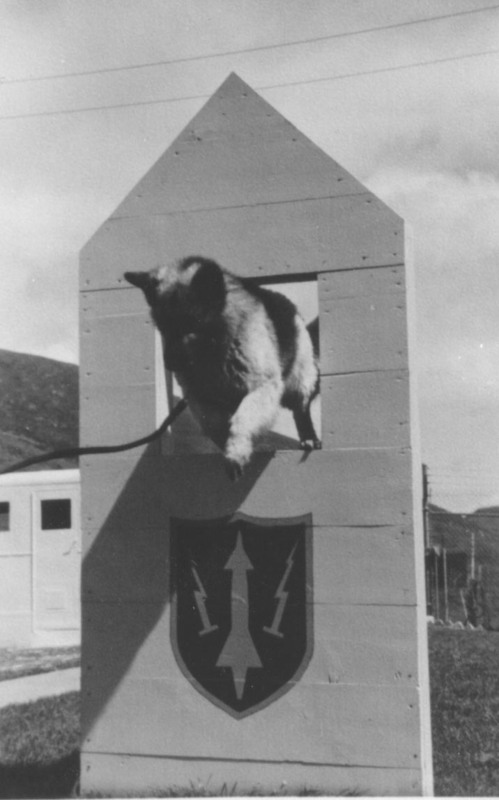 SENTRY DOGS WERE NOT THIS WAY. YOU DIDN'T WANT TO GET CLOSE TO ONE OF THESE DOGS. 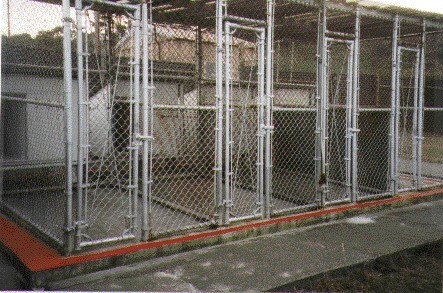 ON OCCASION A DOG WOULD GET LOOSE FROM ITS PEN. 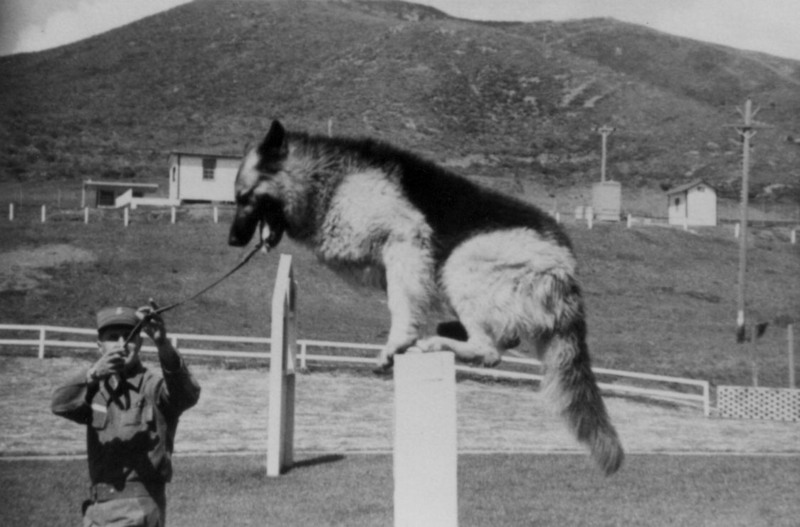 WHEN THIS HAPPENED YOU WOULD SEE SOLDIERS SCRAMBLE TO GET TO A SAFE PLACE BECAUSE THAT DOG WOULD ATTACK THEM. 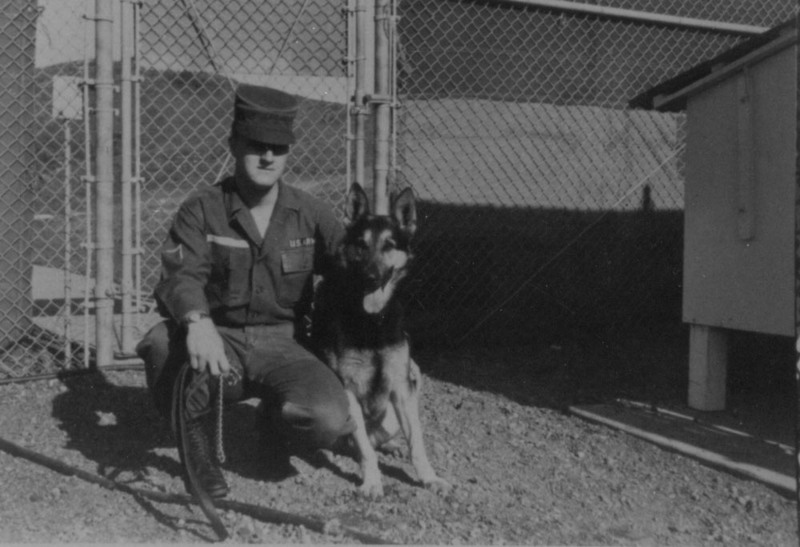 IN MOST CASES, WHEN A DOG HANDLER WAS TRANSFERRED HIS DOG WOULD GO WITH HIM. WHEN A DOG HANDLER LEFT THE SERVICE AN ATTEMPT WAS MADE TO INTRODUCE A NEW HANDLER TO THE DOG. 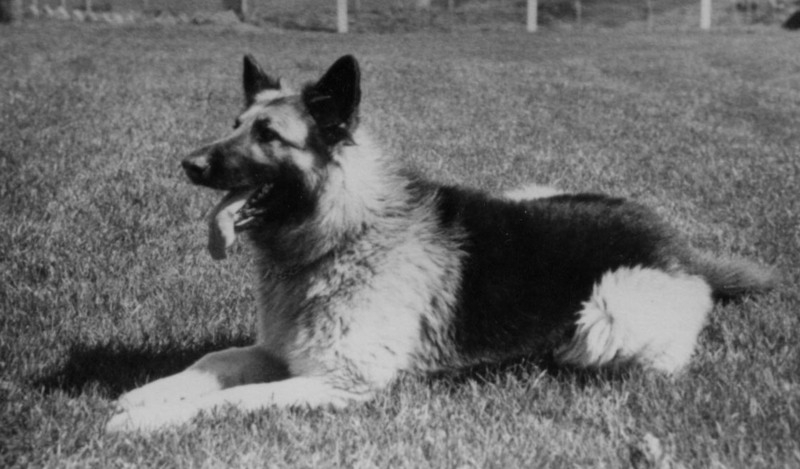 IN SOME CASES THE DOG WOULD NOT ACCEPT A NEW HANDLER AND HAD TO BE PUT DOWN. 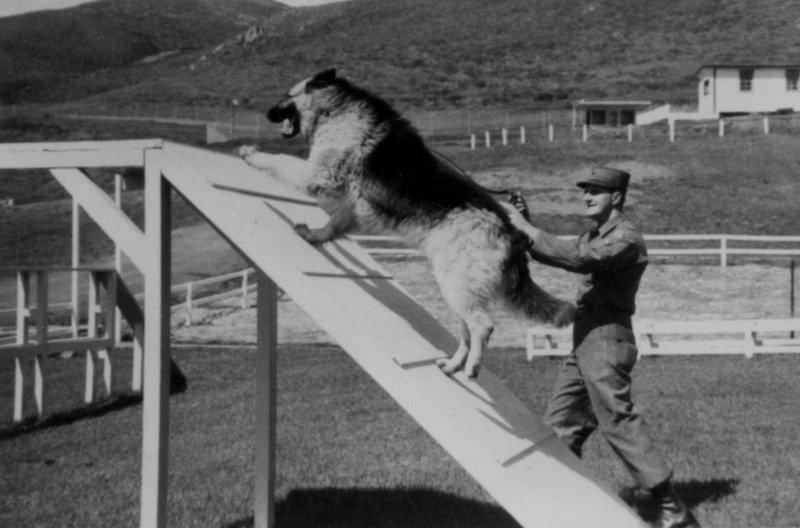 DOGS WOULD BE PUT DOWN WHEN THEY WERE TOO OLD TO WORK.